APThe company is based in the San Francisco area. Virgin America made its debut Friday on the NASDAQ. The IPO priced at $US23 per share and popped nearly 30%, flirting with $US30 in morning trading. The low-cost airline, partly owned by Richard Branson, is now valued at about $US1.25 billion. A total of 13.3 million shares were sold in the offering, raising approximately $US307 million, with the company retaining a major portion of the proceeds. The IPO price of $US23 was “toward the top” of the expected range for the offering, observers reported. Virgin Atlantic’s IPO came several weeks after another Virgin Group entity, Virgin Galactic, suffered a tragic crash of its SpaceShipTwo spacecraft in California. One pilot was killed and another injured. The injured pilot has since been released from the hospital. 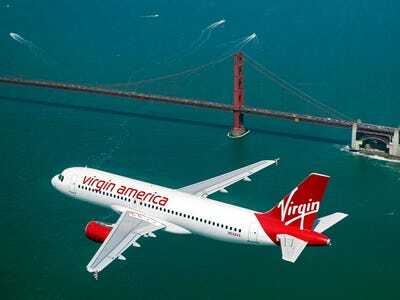 Virgin America first took the skies in 2007. Its headquarters is in the San Francisco Bay area, and San Francisco International Airport is its main base of operations. It also flies out of Los Angeles and Dallas. CEO David Cush is a veteran of American Airlines.